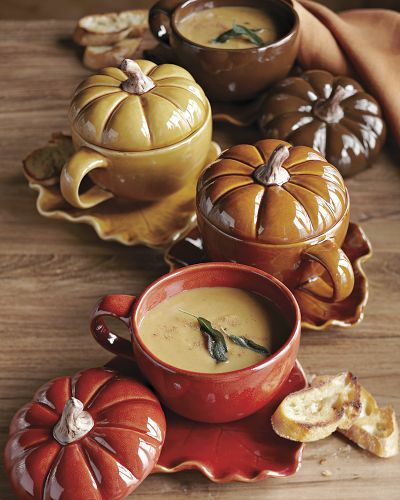 Anyway, good old Williams-Sonoma was good for my soul this early October day, because the adorable factor of their Fall wares was just off the charts. 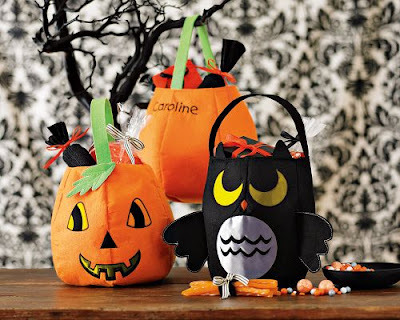 Behold, the Personalized Reflective Halloween Tote ($16). I'll take 19 of those. Thanks so much. 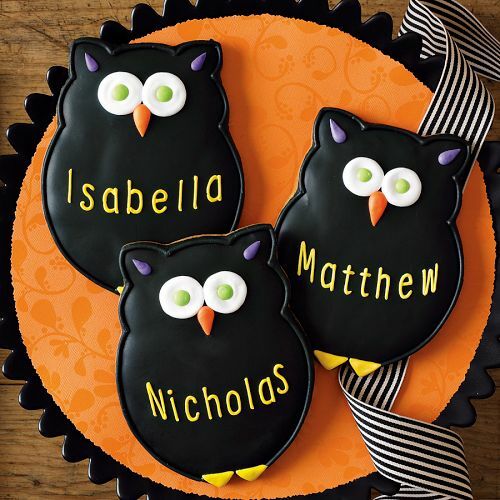 Then I stumbled opon the Giant Personalized Owl Cookies (3 for $26.95). What. You see something wrong with paying $9 per cookie? I could be persuaded to see your point. 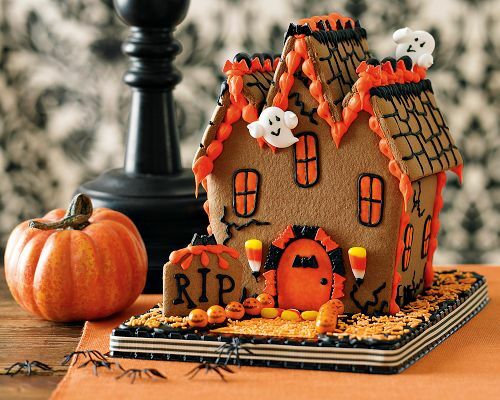 But I will say that I'd much rather pay $9 for an owl cookie than for a tombstone or zombie baby cookie, which is probably what sister store Pottery Barn is serving up over there. 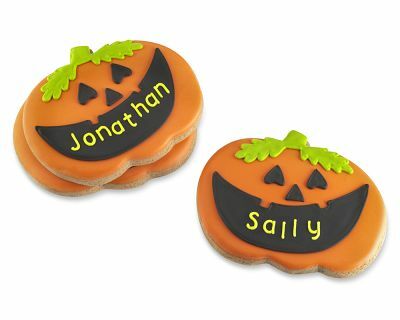 If you're not into the owls, they also have Giant Personalized Pumpkin Cookies available. They are also highway robb'ry cleverly disguised as cookies (3 for $26.95), but come on. They're giant. They're personalized. And they're pumpkins. 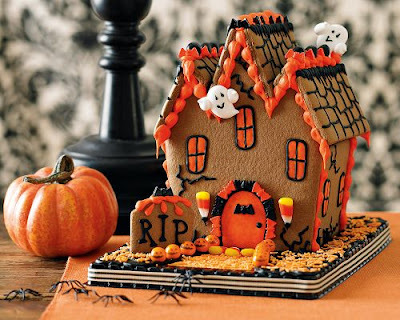 I suppose my money would be better spent on something like the cute No-bake Halloween Haunted House Kit ($19.95). Did I know that there were build-a-house kits other than gingerbread? NO I DID NOT. In the words of Rachel Zoe, I DIE. This kit is BUH-NANAS. 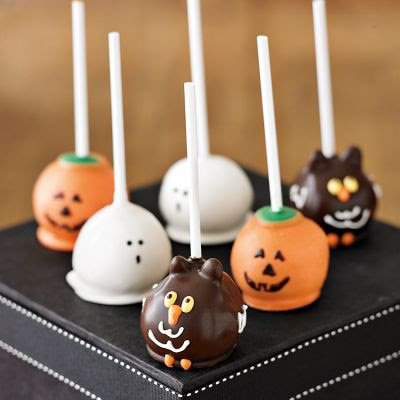 If I weren't in the "kit" kind of mood and instead wanted something to eat that didn't cost $9 each, I would totally go for the Halloween Brownie Pop (6 for $29.95), because $5 is so much more reasonable than the $9 cookies. What. Okay, that wouldn't be an "approved" purchase at our house, but if I were going to a Halloween party I might try to take it as a hostess gift or something. Who am I kidding? THAT wouldn't be "approved," either. I think I just like pretending I could buy these pops. Because they are SO CUTE. 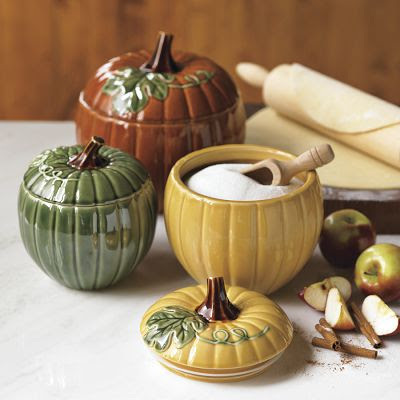 And the other was a set of Pumpkin Canisters (3 for $99.95). I'm not sure I know many people who can afford to canister seasonally. I mean, that's a lot of money and a lot of work to transfer your sugar, flour and whathaveyou from container to container every three months or so. But if you're that lady, more power to ya. Oh my goodness Katherine, I love your posts about Pottery Barn and William and Sonoma! And wait, W&S has a catalogue! I need to get myself on that mailing list pronto! And really who has the money or energy to exchange sugar and flour canisters for each season or holiday. I don't even have regular sugar or flour canisters!! Tamar, YOU DIDN'T KNOW W-S HAS A CATALOG? Yes, ma'am, they DO. Everything is outrageously overpriced and totally pretentious, but I love it.